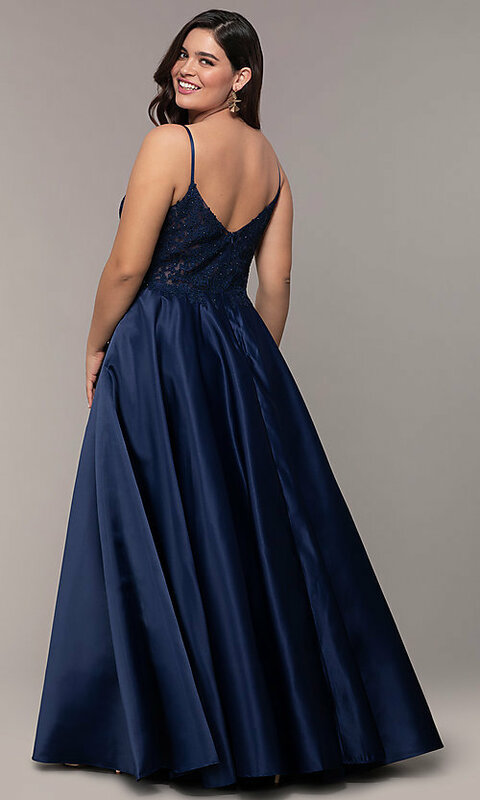 Here's a plus-size long satin prom dress fit for a princess. Rhinestone-embellished embroidered-lace applique against sheer mesh forms the v-neck bodice of this long formal gown. Connecting the front of the bodice to the v-back, satiny straps offer support as they trace the shoulders. Layers of tulle and tulle-trimmed satin line the long satin skirt, providing twirl-worthy volume. Side pockets add to the convenience of this formal plus-size dress. 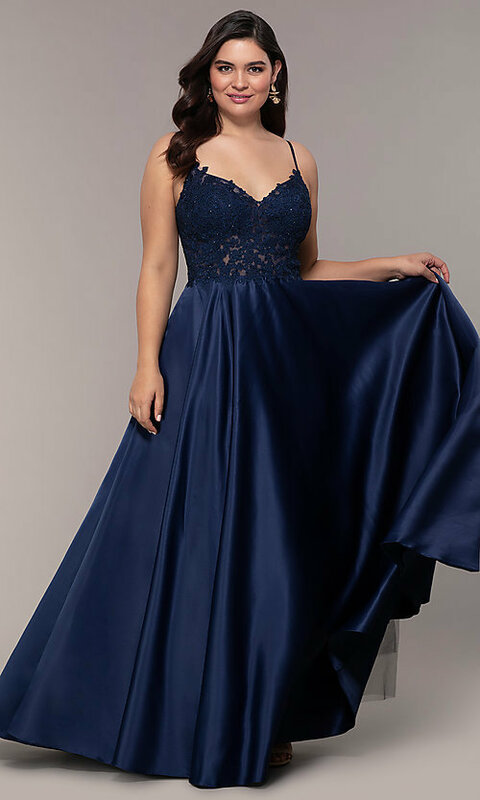 At under $250, this long plus-size prom dress is a beautiful choice for prom 2019, a black-tie wedding, or another special event.